The end of the year came to a close on June 26th. 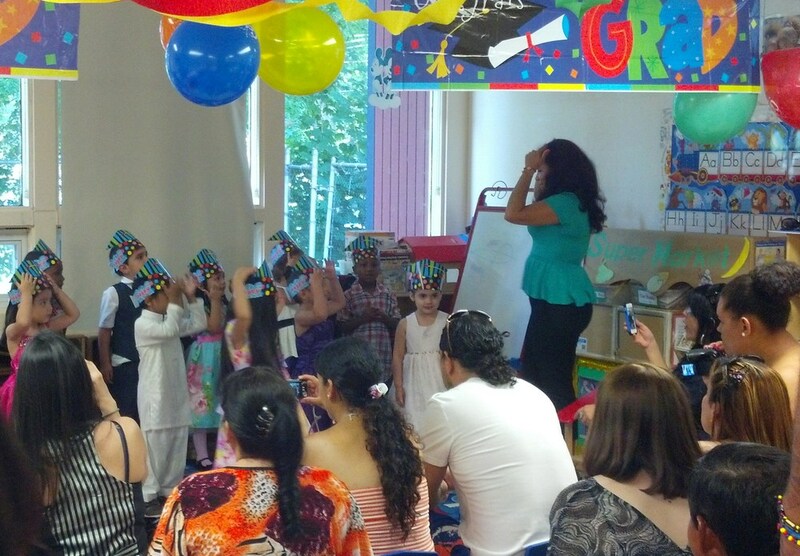 Seventy-five preschoolers completed a successful year here at Jefferson Park Preschool. Each class had its own celebration that was unique to the themes that they learned during the year. Parents and family members joyfully filled our classrooms watching as the children recited poems and preformed songs. Many parents were impressed with the progress that their children had made since the first day. We all celebrated the progress of the children with plenty of good food and music. Many of the teacher's and staff explained that the moment was bittersweet; while they were happy to see their children progress it would be sad to see them leave. We want to wish the families and children much success in their future education, they will be truly loved and missed by all at Jefferson Park. Class of 2013.